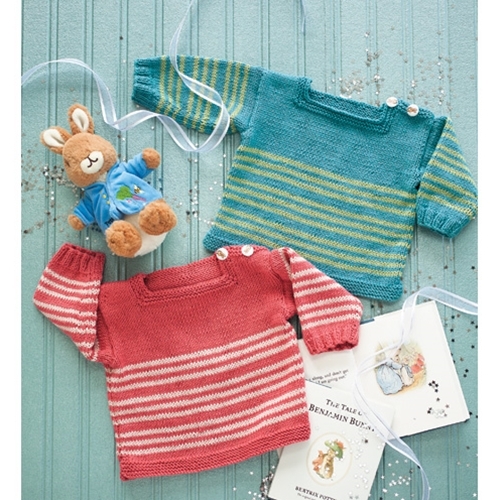 A shift in color makes a single stripe-clustered sweater pattern just right for a boy or a girl. Sized 3–6, 6–9, 9–12, 12–18, 18–24 months. Shown in size 3–6 months. 27 sts and 32 rows to 4"/10cm over St st and stripe pattern using larger needles.